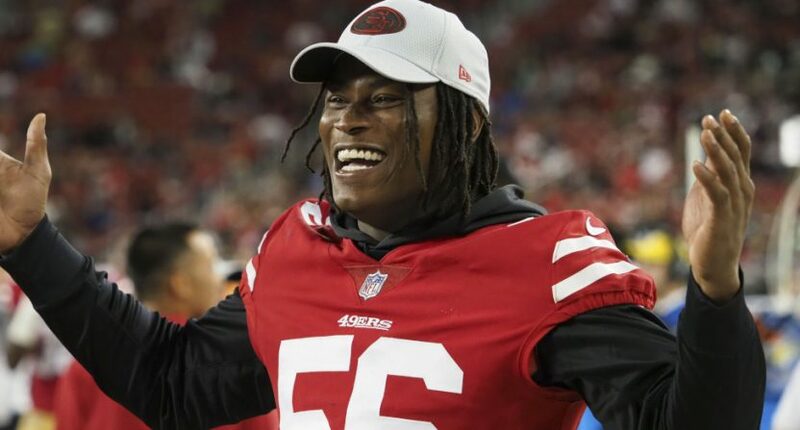 It turns out it’s the Washington Redskins and not the Cleveland Browns who made the controversial move of claiming linebacker Reuben Foster on waivers. Foster, the former Alabama star picked 31st overall in the 2017 NFL draft by the San Francisco 49ers, was released by that team Sunday morning after he was arrested in Tampa Bay Saturday night on a first-degree misdemeanor domestic violence charge. His arrest came less than a day ahead of the 49ers’ game against the Buccaneers. That arrest marked the third instance of charges against Foster this year, following charges of marijuana possession in Alabama in January and domestic violence charges in California in February. But that didn’t stop the Redskins from claiming him. Interestingly enough, though, this came after ESPN’s Adam Schefter initially reported that Foster was headed to the Browns. Schefter has since deleted that tweet and apologized with a correction; here’s his initial tweet screencapped. Update and apologies: Was texted that the Browns claimed Reuben Foster. Information was premature. Foster has been claimed, per league sources. But NFL has declined to name team. Now awaiting Foster's destination. The #Redskins were the only team to put in a waiver claim on Reuben Foster, I’m told. And if the Browns had put in a claim, they would have been successful; ESPN’s Dianna Russini noted that the waiver priority is based off the current standings in reverse, so the 4-6-1 Browns would have landed Foster before the 6-5 Redskins if they had filed a claim. Thus, it seems that Schefter’s source was particularly wrong here, with the Browns not even making a move for Foster. In Tampa on Saturday, according to police there, the couple got into an argument, and “Foster slapped her phone out of her hand, pushed her in the chest area, and slapped her with an open hand on the left side of her face. “Officers observed a 1-inch scratch on the victim’s left collarbone,” police said. A source close to the victim’s family said she was taken to a hospital by ambulance, diagnosed with a concussion and then released late Saturday night. The source said she has returned home to Louisiana to be with family, is bothered by light and sounds, and is unable to drive or go to work. Bringing in Foster after that has already led to a lot of backlash towards the Redskins, and the NFL’s already announced that he’ll be placed on the commissioner’s exempt list (paid, and not suspended, but unable to practice or play) while they “continue to review the matter.” So we’ll see what happens there. But the Schefter report is particularly interesting, as even though it didn’t stay up for long and was corrected, it led to a lot of backlash towards the Browns over something they apparently didn’t even do.